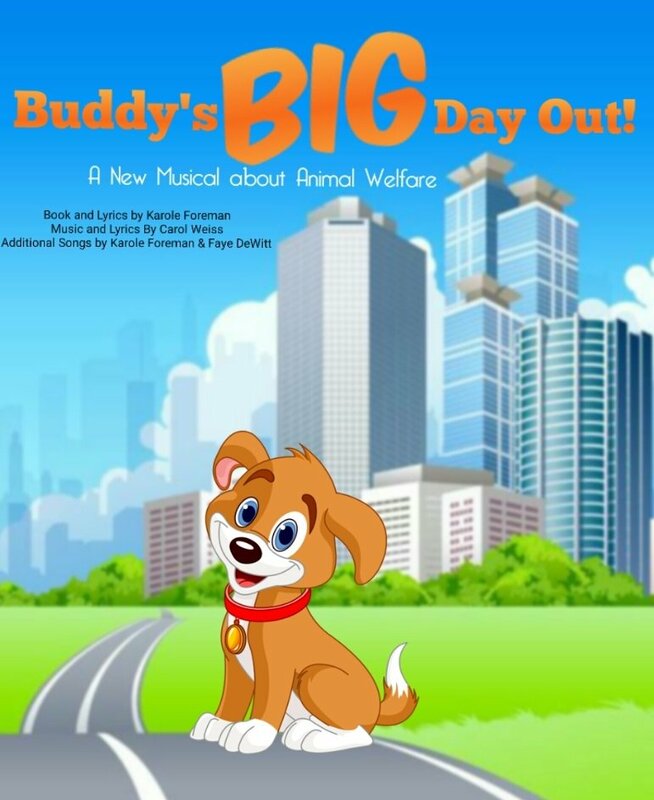 This is a musical for anyone, young or old, who cares about animals. Buddy is a fun, rambunctious, puppy. He expects to spend a happy day with his human, Karl. But Karl has to work and leaves Buddy alone. Bored and lonely, Buddy looks out the window. He sees a beautiful girl dog and instantly falls in love. He breaks out of his house and meets Gemma who has been abandoned by her family and is starving on the streets. The two of them are scooped up and taken to a city shelter, overflowing with sweet, loving, lost and unwanted pets. We (and they) learn of the sad plight of some of these animals, who’s only wish is to have a “forever” home. Luckily, Buddy is re-united with Karl. Some of the other animals are adopted, but others are not so lucky.